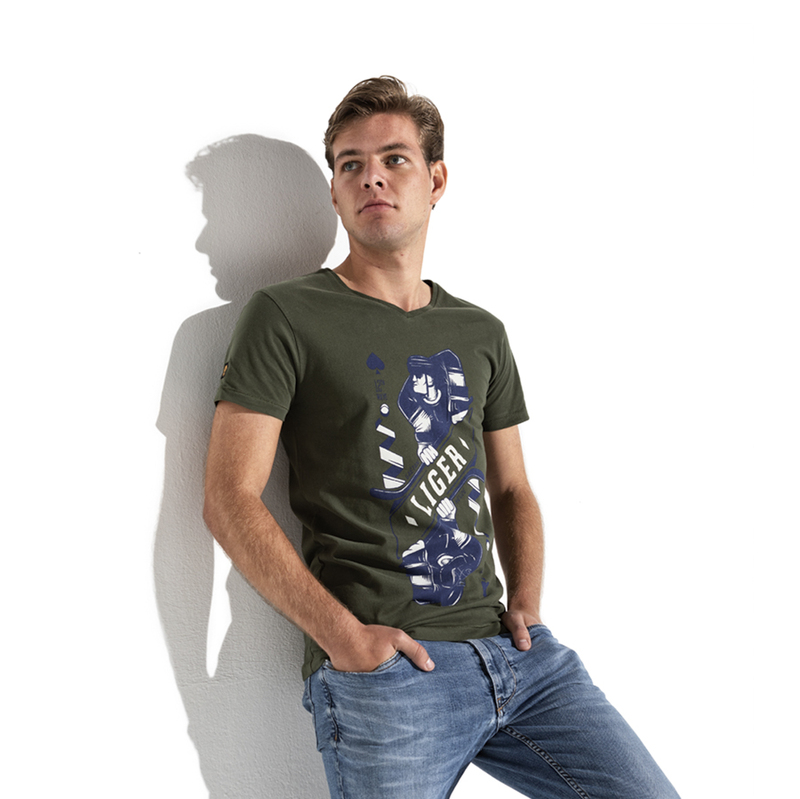 Military green t-shirt with short sleeves and regular slim fit. Available in crew and V-neck. Design is inspired by hockey and made by French illustrator Gaëtan Heuzé.